Valentine’s Day is a holiday meant for couples and many consider it to be the best event that welcomes spring. Over the years, some gift ideas have become the standard for Valentine’s Day and every year, the streets are filled with big red heart-shaped gifts for that special someone. Girls are usually the ones who get the gifts but this doesn’t mean that men can’t be on the receiving end as well; it is a holiday that celebrates love between two people after all so it is pretty normal for both of them to get gifts. So, if you are looking for the perfect gift ideas for him, here are some that will surely make this event special and memorable. They say that a picture can be worth a thousand words so you can use it to show your lasting love for him. You can choose to frame a picture of you alone or the two of you together; silver frames with a nice romantic touch can be perfect for this occasion if you want something classic. As a more modern idea, digital frames are very popular nowadays and they give you the chance to store a lot of pictures. 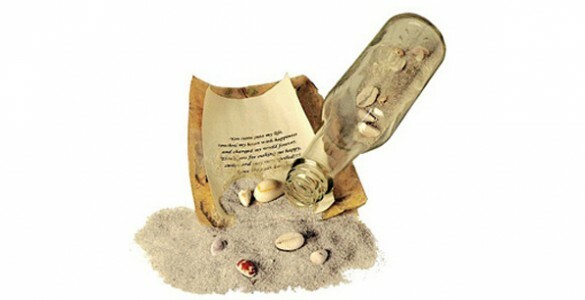 Another cute idea would be to get a romantic personalized note in a bottle as in the pirate days. It is like a small romantic note left out in the world for the significant other to find. You don’t really have to buy a bottle or throw it in the ocean, there are stores that can sell the perfect package and maybe even give you some ideas as to what to write. You can also consider getting some of the classic gifts for men such as cufflinks, a wallet, perfume or a watch but Valentine’s Day is usually about being romantic and unique and the gifts have to reflect that. Even a flower pot can be a great idea and a message like “grow with love” can be the final touch to this cute and ecological gift. Boxers with a funny text are always a cute gift but it is a good idea to buy something else as a romantic present and keep the boxers as the last gift to make him laugh.